In my ongoing series of photography tips, today I want to answer a question that many of you have – namely, what is an ND Filter in photography, also known by it’s unabbreviated name: a Neutral Density Filter. If this isn’t a question you had, and you have no idea what I’m talking about, fear not. I’m going to break it down simply for you with this neutral density filter guide. I’m going to explain what an ND filter does, why you might need an ND filter, and give you some tips on the best ND filter brands. First though, let’s start with the basics, and answer the question – what is a filter? What is a Filter In Photography? What Types of ND Filter are there? When Should I Use An ND Filter? What Do I Need to Look for When Buying An ND Filter? Do I Need Anything Else With My ND Filter? A filter is a product, usually made of glass, but sometimes made of resin or other material, which is designed to have some impact on the light hitting your camera’s sensor. For example, a UV filter is designed to filter out UV light – a throwback from film days, as modern camera sensors tend to have built-in UV filters. A polarizing filter filters out polarized light, good for cutting down on reflections and making blue skies pop. The majority of filters attach to the front of your camera’s lens, and directly affect the light as it passes through them and enter the lens. Some cameras, particularly newer advanced compact cameras, come with a built in ND filter, for example the Fujifilm X100T and the Sony RX100 V.
We’ll be primarily looking at the attachable filters that can be attached and detached onto the front of your camera lens in this post, although the effect of a built-in ND Filter is the same as the one you attach to the front of your lens. An ND Filter is a special filter designed to reduce the amount of light that passes through it and therefore, the amount of light that ends up on the camera’s sensor. It is essentially a darkened piece of glass (or resin) that is designed not to change anything other than the quantity of light that passes through it. Other factors such as the color of the light or polarization of the light should not be affected. This allows for creative effects such as using a wider aperture (for depth of field effects) or a longer shutter speed (for time-based effects) than would not be possible otherwise. They are most useful in bright conditions where there is a lot of available light. As you can see, the longer exposure of the second shot has resulted in the water movement in the lake smoothing out, and the clouds blurring across the sky. More on when to use an ND Filter in the next section. There are different types of neutral density filters, and they offer different strengths, depending on how much light you want to block. This is measured using different terms, but the most commonly used term is the number of “stops” of light the filter blocks. Commonly used filters are 3 stop filters, 6 stop filters, and 10 stop filters. To explain, a stop is basically a measurement of the amount of light. If you increment by 1 stop, you are doubling (or halving) the amount of light. So for example, if you go from a shutter speed of 1/250th of a second to 1/125th of a second (twice as long), you are doubling the amount of light. That is what we photographers refer to as a “stop”. A three stop filter would let you go from a shutter speed of 1/250th of a second to 1/30th of a second. A six stop filter would let you go from a shutter speed of 1/250th of a second to 1/4 of a second. 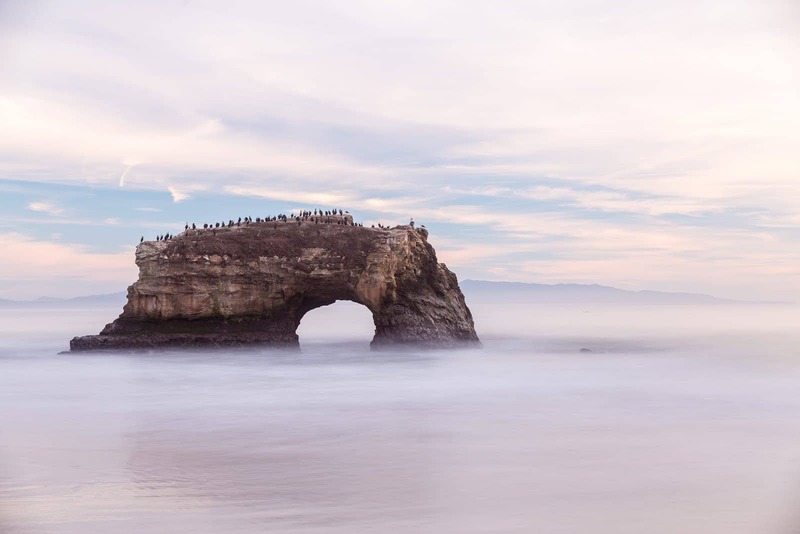 A ten stop filter would let you go from a shutter speed of 1/250th of a second to 4 seconds. 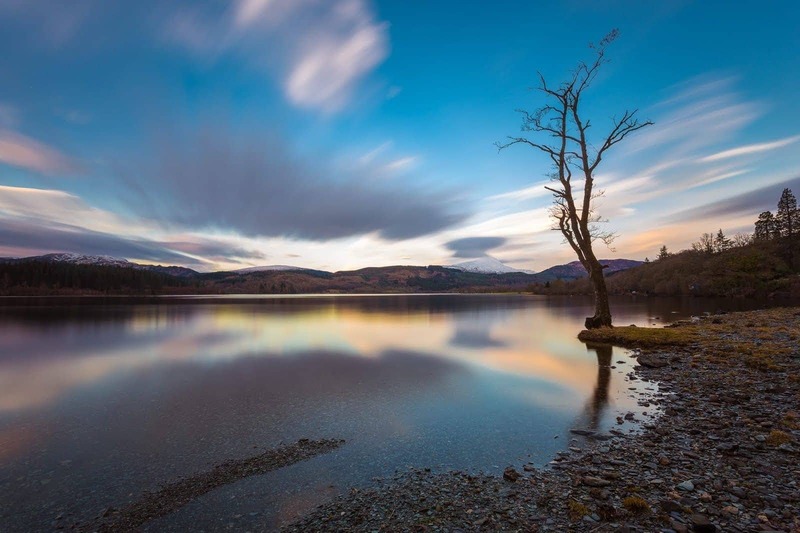 An ND Filter is perfect for use in landscape photography, especially when you want to achieve long-exposure effects such as a milky effect in the water, or to show the movement of clouds in the sky. 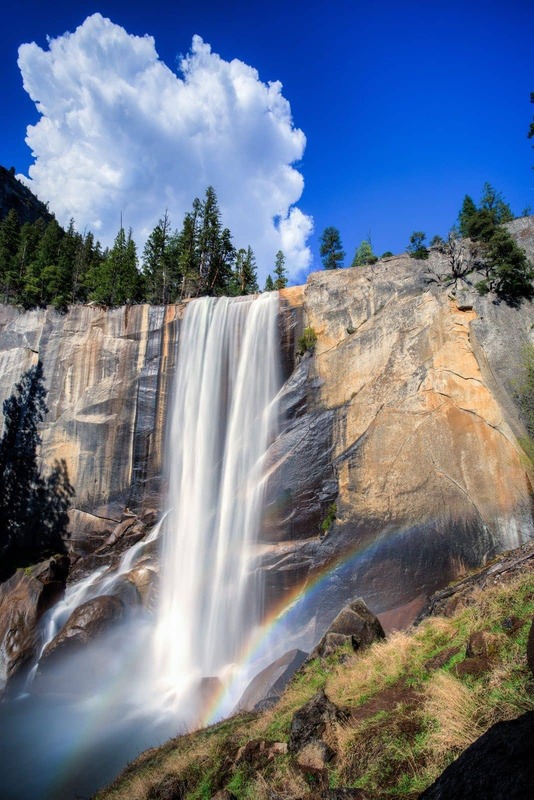 Water, and particularly waterfalls, are perfect examples of when you would want to use a ND Filter. Moving water creates a really nice effect when you use low shutter speeds (1/15th of a second and longer). Unfortunately, achieving low shutter speeds in the day time, especially with all that water reflecting the light, is basically impossible. Even if you close the aperture to as small a hole as possible, and use an ISO 100 setting, in most cases you’ll struggle to shoot at shutter speeds slower than 1/30th of a second. Thankfully, with an ND filter, we can cut down on the light and shoot for longer shutter speeds without having to resort to crazy-high apertures. Shooting at apertures above f/16 is generally not recommended as an effect called diffraction can reduce the quality, notably the sharpness, of our images. 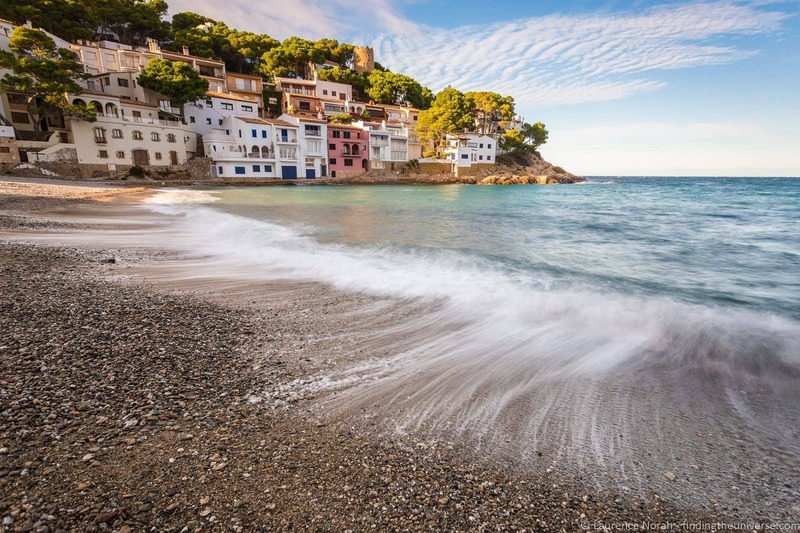 This sunset on the beach in Costa Brava was taken using a 10 Stop ND Filter. This allowed me to use a shutter speed of 120 seconds. If I’d not been using an ND Filter, that shutter speed would be been 1/8th of a second. 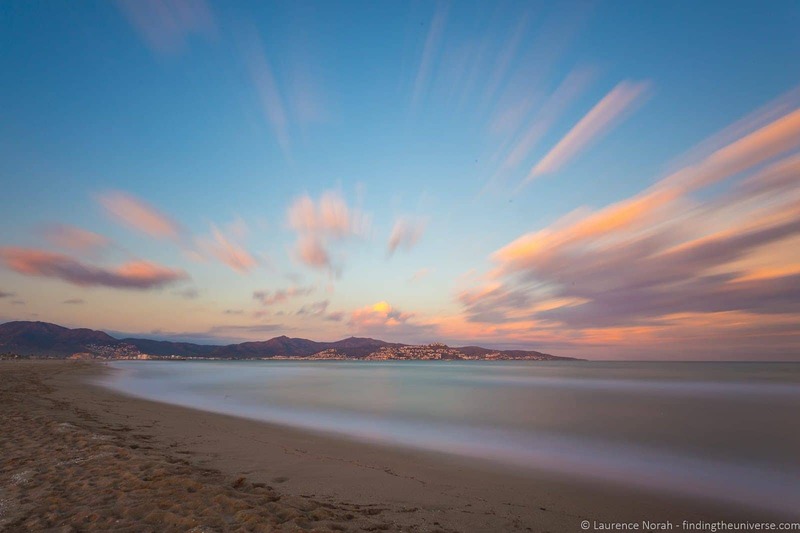 There are a number of different features to look for when buying an ND Filter. Filter Attachment. There are two main options for how a filter attaches to a camera. They can either screw directly onto the lens (screw-in), or they’ll slot into a mount (a filter holder) on your lens (slot-in). Each filter type has its own pros and cons. Screw-in filters can be easier to put on and remove, but as different lenses have different thread sizes, if you have a number of lenses, you’ll need different size filters for all of them. 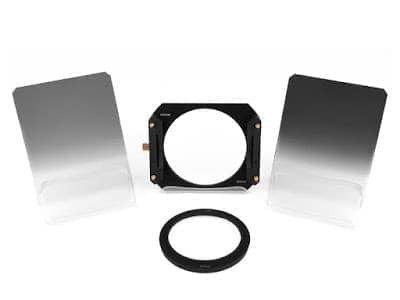 Slot-in filters allow you to more easily stack filters, and as they attach to the lens body, once you have bought the mount, you can use the filters across lenses. In addition, individual filters are generally less expensive than individual screw-in filters, after the initial investment in the mounting system. The initial attachment of the mount can take longer than with a screw-in filter, but once set up, filters are quite easy to drop in. Filter Type. 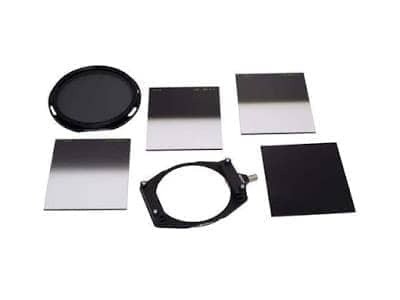 ND filters come in a number of types. The two most common are standard, and graduated. A standard ND filter just reduces the light coming into the camera across the whole image. 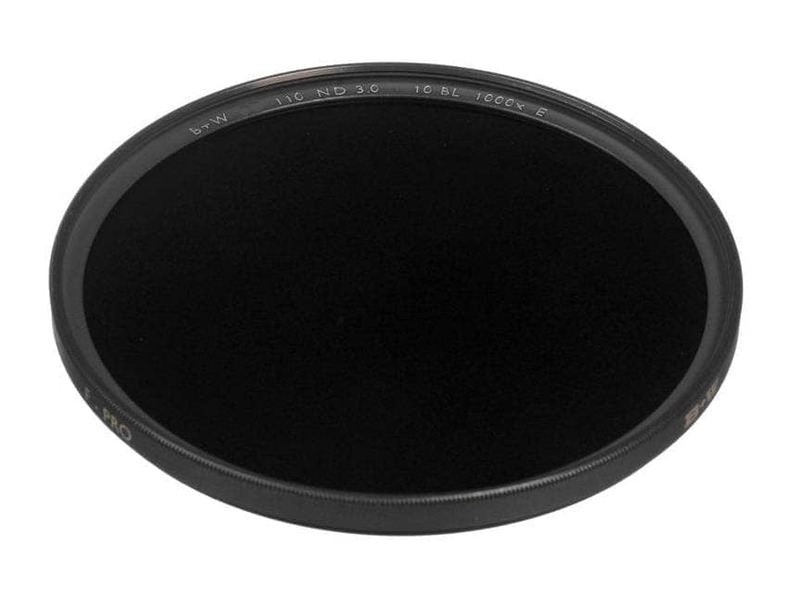 A graduated neutral density filter, which is darker in a part of the filter, allowing you to reduce the brightness in a part of the image, but not all of it – particularly useful for high-contrast scenes with a lot of light in the sky. Filter Size: If you’re buying a screw-in filter, you need to make sure it is the same size as the screw thread on your lens.This will be a number measured in mm, and may even be written on the lens. If not, your manufacturer will be able to provide it. 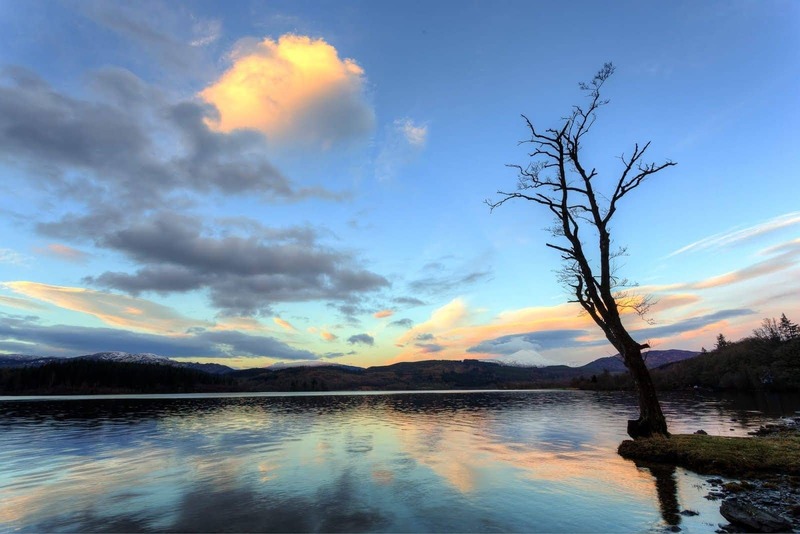 A common size for dSLR cameras is 77mm – so you would need a 77mm ND filter to fit onto a 77mm size lens. Strength: As previously mentioned, ND filters come in different strengths, with some of the common strengths being 3, 6 and 10 stop filters. Some systems allow you to stack filters, for example if you stack a 10 stop and a 6 stop filter, you’d end up with a 16 stop filter. 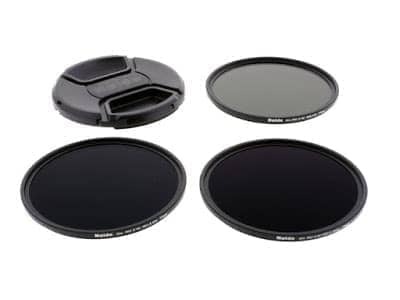 It’s also worth mentioning at this point that you can also purchase variable neutral density filters, which allow you to adjust the strength of the ND filter, usually between a range of say 2 and 10 stops. This sounds ideal, and certainly has the advantage that you need less filters. However, these filters are usually more expensive and can cause issues such as strange cross-hatch patterns and vignetting in images due to their thickness. Color-shift: The last thing to be aware of when buying an ND filter is that whilst the goal is to reduce the amount of light entering the camera without effecting the look of the image (hence “neutral”), some filters can cause a color cast – particularly at the higher stops, or if you stack them. This can usually be corrected in post-processing, but it is something to be aware of – check online reviews before purchasing to see if this is a common issue with the filter you are interested in. A Tripod. A tripod is a critical accessory for using an ND filter. 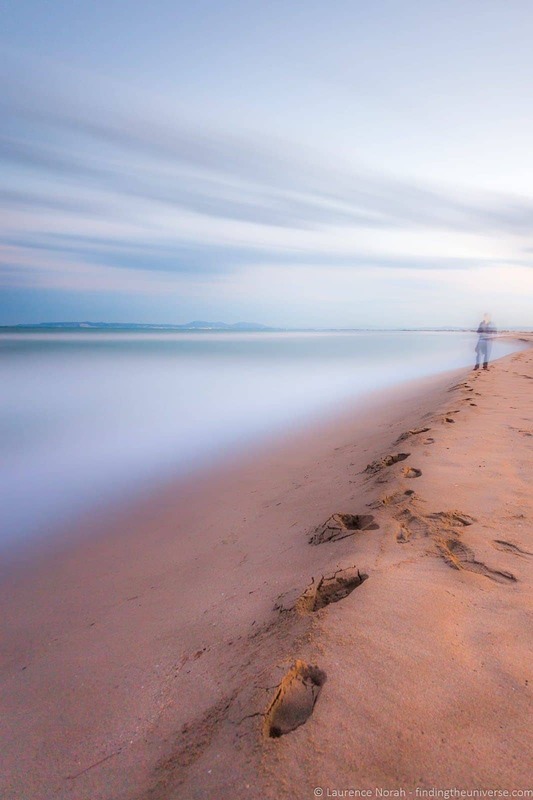 One of the main reasons to use an ND filter is to cut down the light and increase the exposure time – something that will result in shutter speeds that are too low to hand hold your camera. To solve this problem, you’re going to need a tripod. Don’t worry, I have a whole post on the reasons you need a tripod, and advice on picking the best tripod for you. ND Calculator App. This is more of a nice thing to have than a necessity, but it sure can be handy in the field when you realise that figuring out the math for those long exposures is a bit tricky. An ND calculator app lets you enter in values for your shutter speed, aperture and ISO, and then choose an ND filter strength. It will then show you the appropriate new values for your shutter speed based on that strength, taking the guesswork out of your exposure calculation. This means you can set up a shot without the ND filter, check the camera’s exposure settings, pop the filter on, and then use the app to calculate the correct settings. Now, down to some recommendations. These are a mix of my favourites, and brands I know fellow photographers swear by. There are a lot out there though, so be sure to get the right pick for you. My advice would be to get a 10 stop filter and work from there – my 10 stop filter from Haida is the one I use the most often. We’ve been using the Haida 77m slim filter kit for years, and I love them. They’re super portable, you can stack them, and they have minimal color casting. They’re also great value, particularly in kit form. If you want to go down the slot-in road, these are a good place to start. Stepping up somewhat in price, Lee are amongst the best known names when it comes to filters. Their “Big Stopper” 10 Stop ND filter is the go-to filter of choice for a great many photographers, and for good reason. These are high quality filters that should last for a good long time. I’ve used B+W polarizing and UV filters across my lenses for many years now, and have always been impressed by the build quality and durability. Again, a premium option, but a good one. And we’re done! Thanks for reading – if you’ve got any comments, feedback or suggestions, just let me know in the comments below. This is fantastic. Very helpful. Thank you. As someone who is still at an amateur level but investing in good/very good quality equipment for the future, I try to do a lot of research to educate myself before making my purchases. Your review is incredibly helpful and opened my eyes not only to the need for an ND filter but also the different systems available. Keep it up. Hey Mark – my pleasure! 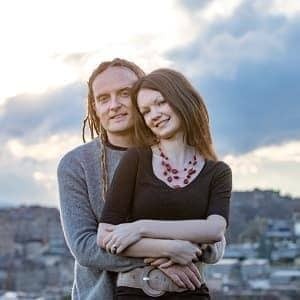 I’m trying to write content that is accessible to everyone, about photography (and travel! ), and it’s great to hear that this post has helped you 🙂 I hope you enjoy your new filters, whichever ones you choose!